So, I wrote this 'Note' on Facebook back in April 2010, when Blackberry was cool. Funny, how I look back on my notes and the world seems to have changed so much. For us and for one unfortunate company called 'Blackberry'. 17th January. My birthday. I held in my hands my first ever surprise gift sent by my beloved parents. Courtesy a 'slip-of-the-tongue' episode with my excited father, I already knew what lay inside the box. So, lacking the eagerness one usually displays in the process of unwrapping presents, I casually opened the box to reveal a Blackberry! It was THE Blackberry only the entire world was quickly becoming obsessed with! Beautiful and black, my new phone rested beside me as I sighed and wondered what I am going to do with it. Before you think how crazy that just sounded, let me explain. The world consists of two kinds of people - the 'technologically sophisticated' and the 'technologically challenged'. I belong to the latter set, a fact I am not very proud of, but one that I have made my peace with. I detest complicated gadgets that bring with them exasperating levels of complexity. Gadgets and I make the kind of disastrous combination falling on the lines of wearing leather on a really hot day! So while the rest of the world is trying to get their hands on the Blackberry, I stared at the one in my hands and thought to myself 'Why father, why? You know how dreadful your little girl is when it comes to electronic devices'. Knowing that there was no looking back, I put 'Learn to use and love your new Blackberry' as numero uno on my challenge list. Little did I know that before the phone would even complete its first day anniversary under my ownership, my love affair with the Berry would commence! Let me elaborate. So I got to my desk at work the next morning, placed my old bag behind the computer and nonchalantly (but strategically) positioned my Blackberry in front of the computer. Within a few seconds of depositing the phone, I hear 'Ooohs’, ‘Aaahs' from colleagues. Before I knew it, I found my boss's hands discovering my Blackberry. His face failed to conceal his surprised expression (or was it contempt? ).I swear I could almost hear him think, "How in the name of the sweet lord did SHE get herself a Blackberry! Surely she doesn't earn that much. I should discard my aged and dilapidated cell phone!' Instantly, I forgot I ever grumbled about my Blackberry. The priceless expressions of my evil boss and green-eyed colleagues were simply worth it. It is however difficult for me to acknowledge that it took a machine to give me an ego boost! Shortly, another occurrence further deepened my feelings for the Berry - I received my first call on it! No, the call per say was not thrilling. You might laugh, but I will go ahead and write this anyway. 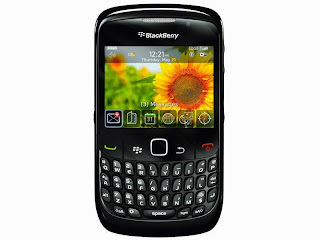 I really love the way my voice sounds when I speak over the Blackberry. It might just be my overactive imagination at play, but I think the Blackberry does something magical to my voice - my mundane and monotonous voice instantly transforms into husky and brilliant through that phone! Alas, the good times did not last much longer for me. It was brought to my notice by a dear friend that with owning a Blackberry comes the moral duty of activating the BBM. Say what! Come again? 'BBM i.e. The Blackberry Messenger', my patient friend proceeds to explain. I learn that the BBM is the Blackberry's USP, the defining reason behind the escalating sales of the phone. By the time the BBM story ends, only then did it dawn upon me what those Facebook status updates were all about, the ones that went like this - 'BB198E93j7 - Add me!!! ', 'BB89VFJHBV - Hurrah!!!'. Now I had to add 'Remember NOT to forget to activate BBM service' to my ever so long To-Do-List! Again, at the brink of thinking I could function with a Blackberry after all, I noticed the sudden scratch right at the center of my Blackberry's screen. Much to my heart's discontent, now I would have to live with not just a Blackberry, but a scarred Blackberry. I made a quick mental note, 'Purchase a case' to my shopping list to protect my phone from any further diabolical scratches that seem to lurk like vultures in search of a prey! I am not done yet. Sadly, my Berry-related grievances continued. After several phone calls with my friends over my Blackberry, we successfully managed to meet over coffee. At the end of a mere fifteen-minute animated conversation revolving around 'Hi', 'Hey', 'What's up? ', I sneakily glanced over my menu card to catch my friends - most of whom were blissful Blackberry owners - glued to their Blackberries, obviously making contact with their 'BBM friends', typing away gloriously and texting like there was no tomorrow, squeezing the worth out of every penny they PAID to use the FREE BBM facility. Sigh, who ever denied technology was making us anti-social beings! Well, my Blackberry is nearly four months old and I am delighted to declare that I am getting more than acquainted to it. Even though, the above mentioned additions to my to-do-list and shopping list remain shamelessly un-erased, the phone undoubtedly holds reasons that make me fond of it - I can make and receive calls and send and receive texts, which is all I ever asked of a mobile phone in the first place. I no longer complain to dad about my birthday gift, after all it is the thought that counts, not the gadget! All said and done, I am a big fan of the genius that created this page on Facebook - 'Remember when berries and apples were just fruits'. Whoever, whatever and wherever you are, I salute you, I could not have phrased that any better myself! P.S. I am unable to unravel the mysterious case of my missing Blackberry charger. Readers with an extra charger, kindly contact the writer.